Adaptér synchrometru červený uretan pro karburátory 34 ICT/34 EPC 1ks. Pro synchrometr # 04110 viz. související zboží. Carburetor synchronizer red urethane adpter for 34 ICT/34 EPC each. A good thing gets better! Finally, tuning the dual ICT carbs just got easier! 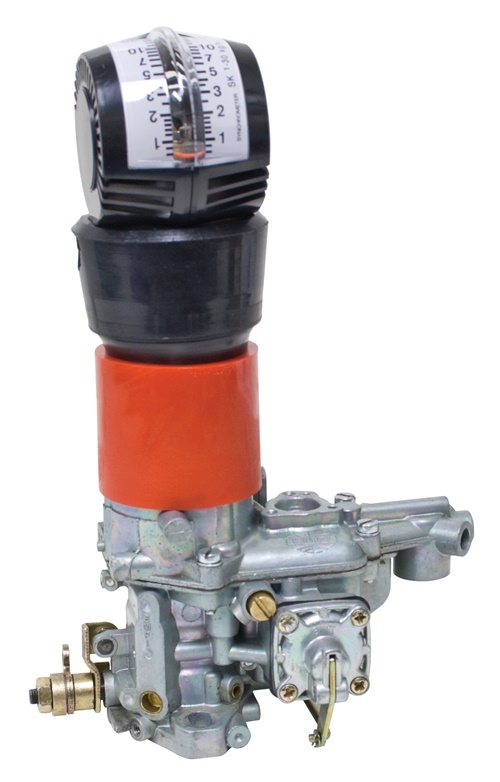 Our new E-Z synchronizer adapter allows for the superior quality “squirrel cage” style carburetor synchrometer (# 04110) to fit atop the ICT carburetor for effortless tuning! Another “must have” for the do-it-yourselfer!